The Bourne Identity on 4K Ultra HD. 4K Ultra HD is 4 times sharper than HD. Brilliant brights and deepest darks with HDR (High Dynamic Range) and wider colour spectrum adding dazzling colours to your viewing experience. 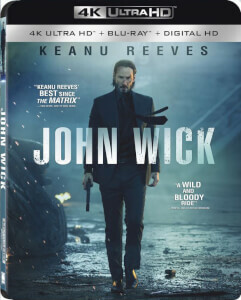 Also includes Blu-ray copy and Digital Download to watch anywhere on all your devices. Racing to unlock the secret of his own identity, amnesiac operative Jason Bourne discovers the deadly truth: he’s the government’s number one target, a $30 million weapon it no longer trusts. 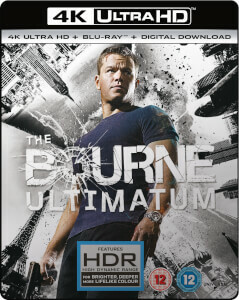 Academy Award® winner Matt Damon stars in this super-charged, thrill-a-minute spectacular loaded with non-stop action! INSIDE A FIGHT SEQUENCE • AND MUCH MORE!